BHOPAL: A girl's refusal to cover the head with the 'pallu' led to cancellation of marriage in Madhya Pradesh. 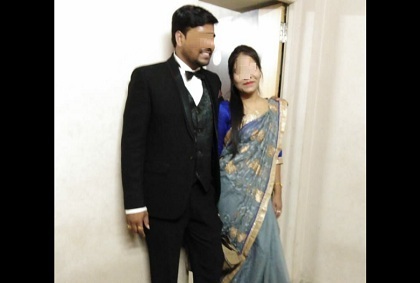 The incident occurred in Ratlam during the engagement ceremony. The girl-Varsha Sonawa, 24, is a labour inspector with the Madhya Pradesh government. Her marriage was fixed with Vallabh Pancholi in Ratlam. However, during the engagement cermoney, she was sitting on the stage, when Vallabh's mother Radha Devi, asked her to cover the head with the pallu. This led to the arguments that ultimately took both the families to the police station and finally cancellation of marriage. Varsha told Vallabh's sister, Chhaya, that she (Varsha) would cover her head only if her father says so. There was altercation and the row continued for several hours. Varsha's father KL Sonawa said that his daughter knew well how to conduct herself well and she only would decide (covering the head or not). Subsequently, both the sides reached police station. After several hours, it was decided to cancel the marrigae. Both the sides gave a written statement to the police that the dispute over covering head led to the situation, and if the marriage is solemnised, the relation would not last long because of this incident. Subsequently, the 'baraat' left Ratlam.